Have I Bitten Off Too Much? 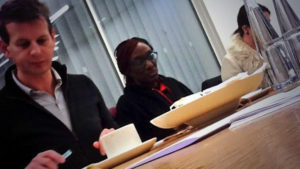 Yesterday at the Triathlon England London regional committee meeting, I put forth my ideas for some projects to encourage the growth of paratriathlon and the education of our clubs, event organisers, and coaches. It was exciting stuff. Exhilarating. Positive. I felt a tremendous buzz and optimism from the discussion, finally, FINALLY I was able to start to bring life to my ideas, my passions. But then on the walk home, I found myself feeling a bit overwhelmed and frankly a little scared. Fear loomed. Was I biting off too much? Was I too ambitious? Would I be able to deliver my ideas? I mulled it over. How could I transform my fear. My fear that I have bitten off more than I can chew, that I won’t be able to deliver my promises? By adding a few simple words, I created a path toward success and instantly reduced my fears. I embedded a reminder to myself. 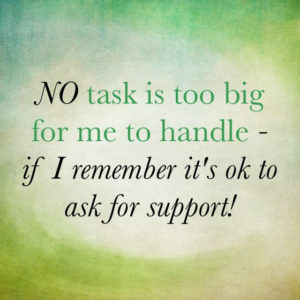 NO task is too big for me to handle – if I remember it’s ok to ask for support! Support has been offered to me in lots of ways to help to transform my ideas into realities. I just need to remind myself that it is OK to follow up and ask. I do not have to climb this mountain alone – in fact, it will be a whole lot more fun the more people I can get on board… And lots of people WANT me to succeed. Transforming fears. One word at a time!